Order within the next... 5 hours, 8 minutes, 39 seconds ...for dispatch today! 4.25 inch (107 mm) king. 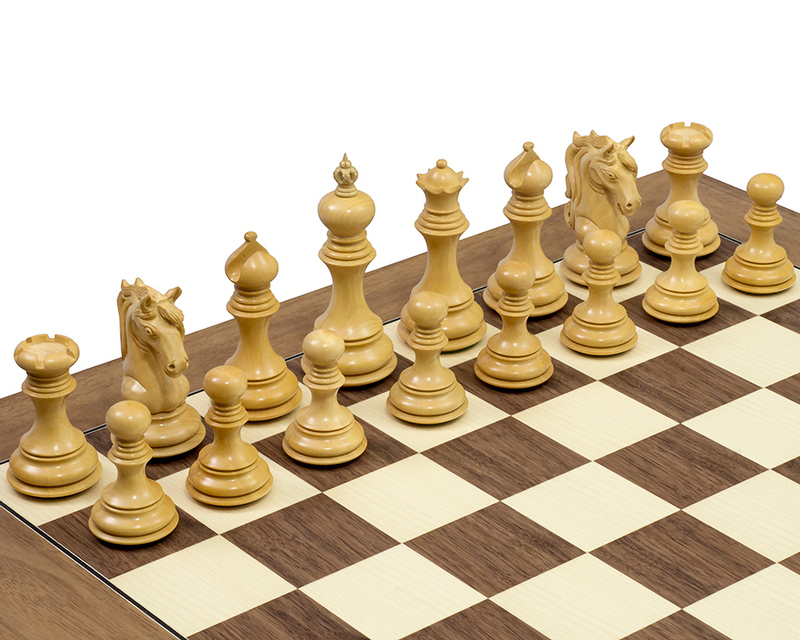 Superb quality walnut and maple board. 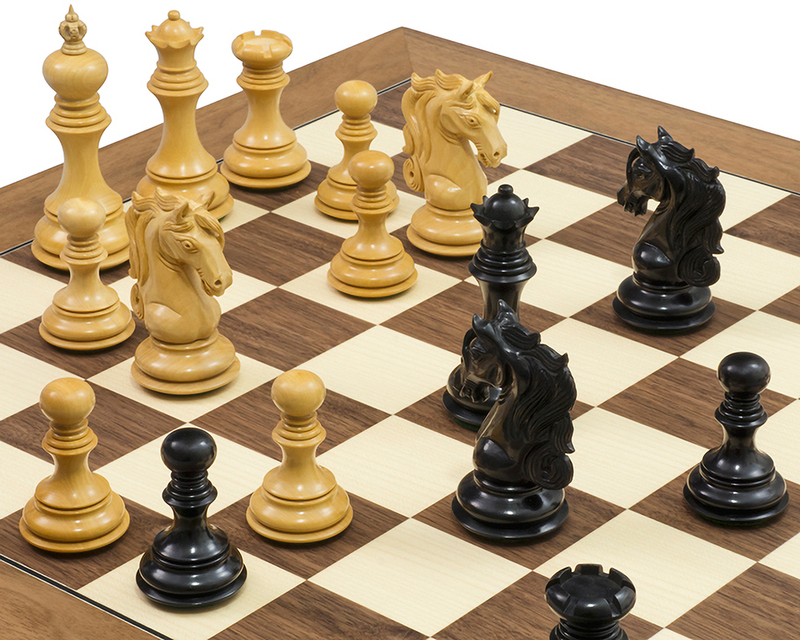 Beautifully crafted knight pieces are a predominant feature of the appropriately named Cavalry Series chessmen. 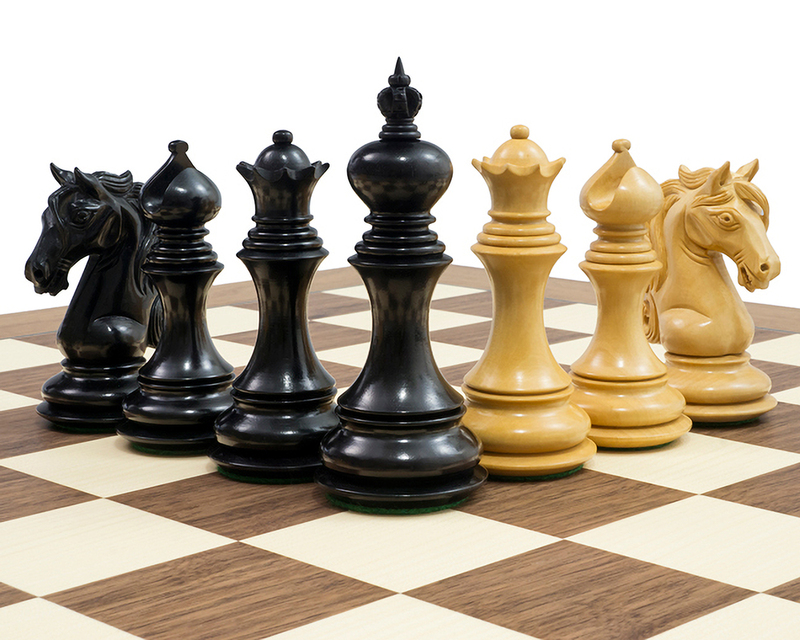 Heavily weighted and perfectly balanced, these luxury chess pieces are a perfect match for the Spanish made 21.7 inch (55 cm) walnut and maple board. Walnut is rich in colour with particularly dense grain - well suited to modern interiors. 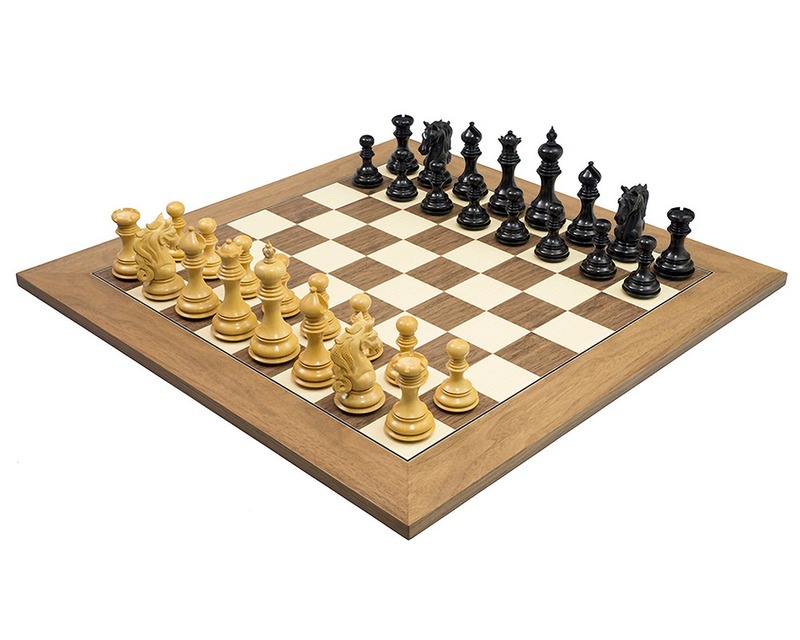 This superb quality large chess board is produced by esteemed chess board maker Rechapados Ferrer S.A. of Spain. 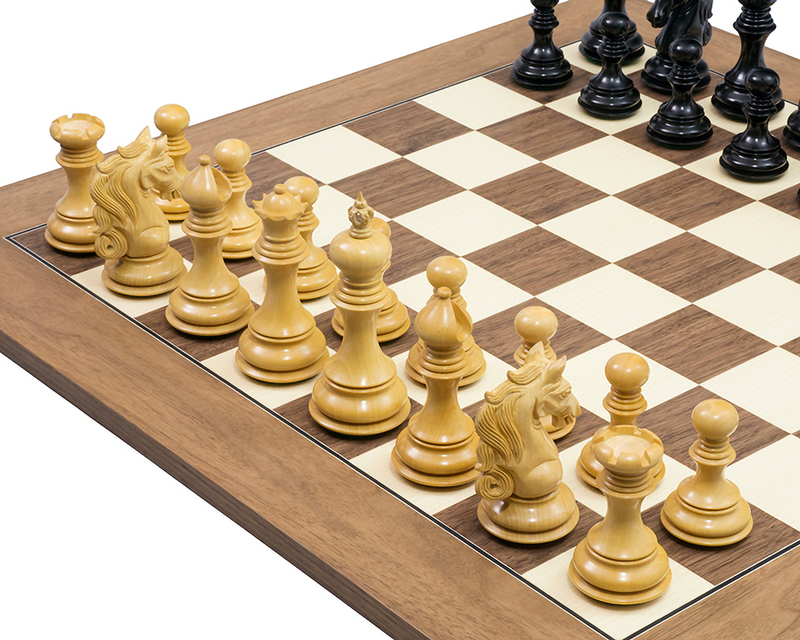 High grade walnut and maple veneered construction is used throughout, including on the board's base. 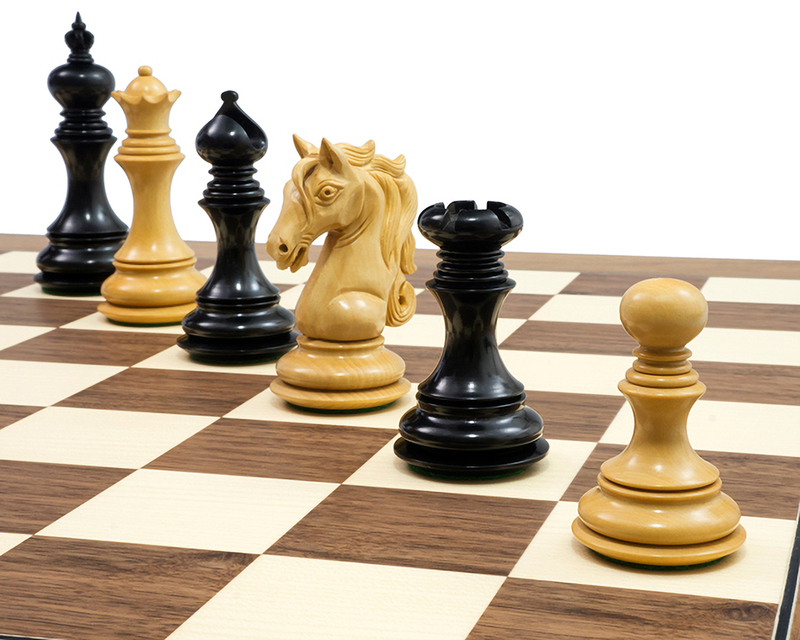 Modern fabrication techniques are also employed, resulting in a chess board with clean, precise lines and very critical detailing.